Stylish yet comfortably affordable, this sofa sleeper showcases a gorgeous sandstone beige color, and rolled arms that are accentuated by oversized nailhead trim in a black nickel-tone finish. The included accent pillows offer additional textures and patterns to the overall look of this piece. The pull-out mattress instantly transforms your living space into a guest room when needed. 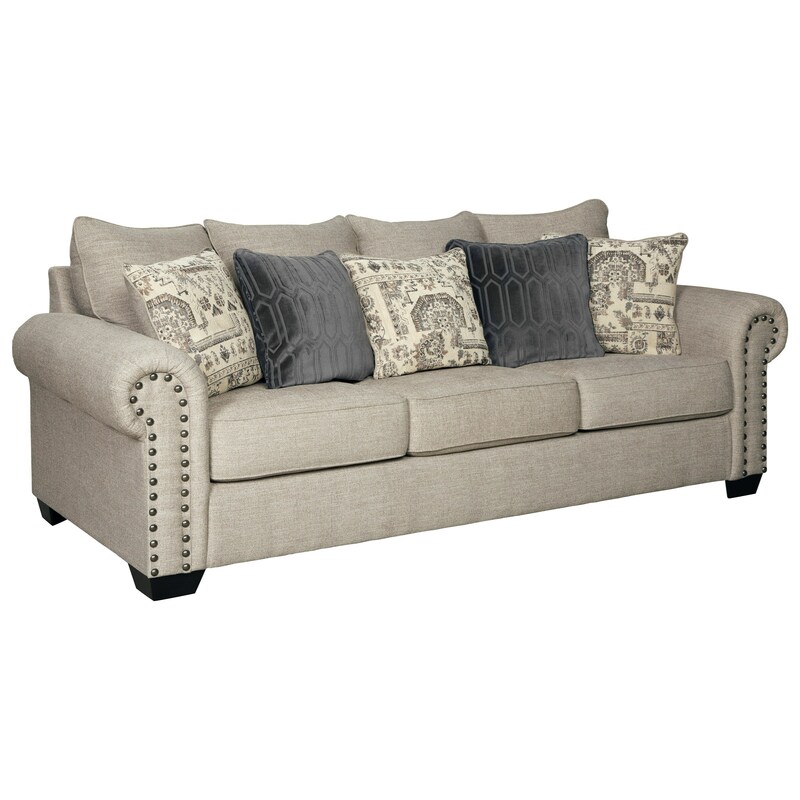 The Zarina Transitional Queen Sofa Sleeper by Signature Design by Ashley at Rooms for Less in the Columbus, Reynoldsburg, Upper Arlington, Westerville Ohio area. Product availability may vary. Contact us for the most current availability on this product. The Zarina collection is a great option if you are looking for furniture in the Columbus, Reynoldsburg, Upper Arlington, Westerville Ohio area. Browse other items in the Zarina collection from Rooms for Less in the Columbus, Reynoldsburg, Upper Arlington, Westerville Ohio area.